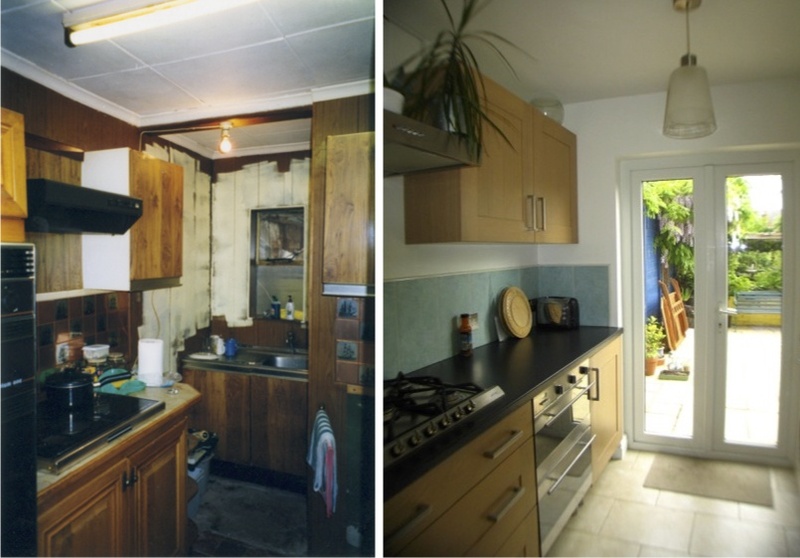 Yes this is the same view of the same kitchen, hard to believe we know! This is one of our bigger kitchen refits - the end window and outside toilet (the lump on the right) have been replaced with double doors onto the garden. A poor layout was changed for a galley style kitchen with a good flow and more usable work surfaces. The sink, visible at the end, was moved to face the window on the right, new flooring, better lighting, replastered and painted walls, and it's a whole new kitchen.